Since 1967 B&B Auto Body Works has been a quality Lakeland auto body shop specializing in all aspects of car paint and body repair. For nearly 50 years now we have been a trusted Lakeland auto body repair shop and have kept up with all modern techniques, tools and automotive specifications. If you’ve been in an accident or you have an old car that just needs some TLC, B&B Auto Body Works is your local Lakeland paint and body provider that you can trust and count on. We get many calls from customers feeling pressured into using their insurance company’s recommended paint and body shop. They ask if they have to use those shops or can they still use our quality shop? The good news is they are allowed to chose any shop of their choice and will find the hands-on family approach of B&B to be a better experience than the insurance shops. Give us a call or come on by and discover why for nearly 50 years people all over Lakeland bring their automotive paint and body repair needs to B&B Auto Body Works. 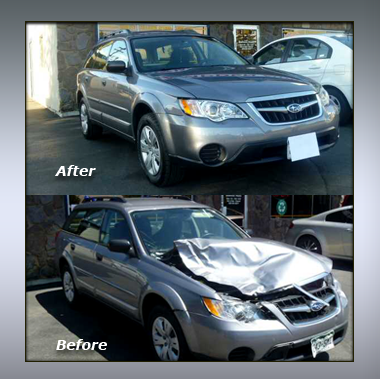 B&B Auto Body Works is locally owned and operated.